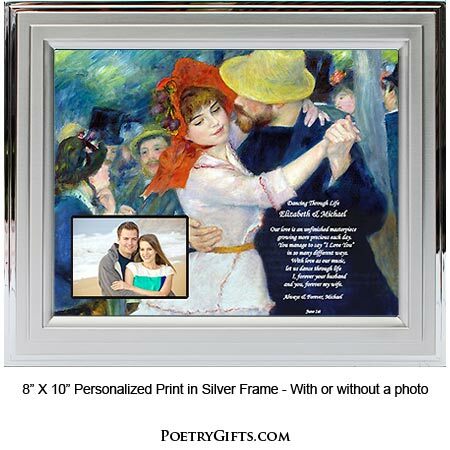 Let your wife or husband know how much she or he is loved with this beautiful print of a painting from the French Impressionist artist Pierre-Auguste Renoir. 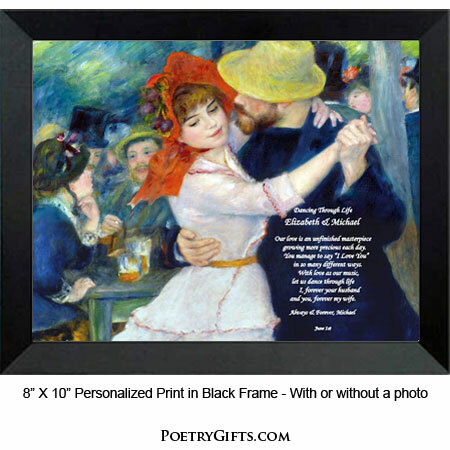 Unique anniversary or birthday gift idea that combines art with poetry. Personalize with names and photo to make a truly memorable personalized gift. Want to give a romantic gift to your husband or wife? 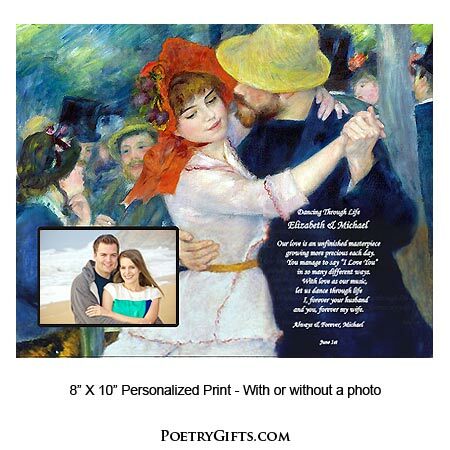 This personalized love poem and beautiful print is a great gift idea for a spouse. The Poetry Gift expresses the love you feel for your sweetheart and will surely become a keepsake to cherish. Your history as husband and wife or boyfriend and girlfriend can be considered your own personal masterpiece, just like the masterpiece created by Renoir. Let us help you create a one-of-a-kind gift for the love of your life! 4. Closing Phrase and Your Name (as seen after poem) - (Examples: Your Dancing Partner; John; Love Always & Forever, Pam; etc.)" growing more precious each day. You manage to say "I Love You"
and you, forever my wife. and I, forever your wife. Wife is a big Renoir fan...this was a perfect anniversary gift.